AFFORDABLE CRANE HIRE IN PERTH! Ashburton Crane Hire Perth Western Australia operates a modern fleet of 10 mobile pick and carry Franna cranes and also all-terrain cranes. While crane lift capacity range from 20t to 100t for Perth metro and all WA country areas, these lift loads can be increased with, discounted double crane hire. (Two cranes hired to lift extra heavy loads at the same time). We cover all aspects of general crane hire services Perth wide. No matter what the task, Ashburton Crane Hire Perth provides the right, safe, reliable, affordable crane, equipment and crane expertise to get your lift job completed. Our fleet of hire cranes is based in the Perth eastern suburb of High Wycombe near the Forrestfield/Welshpool industrial area. hiring 2 cranes in Perth at the same time/same site for extra heavy load lifting with double crane hire. not-for-profit organisations. 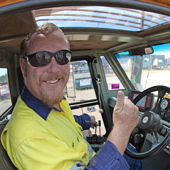 It's part of our commitment to corporate social responsibility (CSR) for the Perth community. 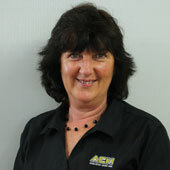 Phone our Perth crane operations manager on (08) 9454 7000 to discuss your Perth crane hire needs. "CRANE SAFETY IS NOT EXPENSIVE, IT'S PRICELESS." Ashburton Crane Hire, are committed to Occupational Health and Safety (OH&S) while the Western Australian environment is a large part of our general crane hire services business in Perth. Ashburton Crane Hire upholds its position as a West Australian crane hire company leader by promoting OH&S. For that reason we are committed to protecting the health and safety of each employee. With a deeply rooted safety culture, we also promote safety to our customers and subcontractors whilst providing crane lifting solutions in accordance with Western Australian safety regulations. Any metal fatigue in our cranes is detected early with frequent non-destructive testing (NDT). Metal crane parts are replaced with new or small cracks are cut out and safely welded. Frequent routine crane safety inspections and testing, plus safe experienced Perth crane operators prevent catastrophic crane failures that you see on the news with other crane hire companies. Ashburton Crane Hire lift studies and detailed JHA's for your specific job requirements. Ashburton Crane Hire services constantly strive to provide a quick reliable general crane hire services Perth wide, 24/7, 365 days of the year. We achieve this with commitment to providing modern, new, well maintained, reliable pick & carry and all-terrain slewing Liebherr hire cranes. crane hiring our long reaching cranes in Perth to lower a swimming pool or air conditioner from a difficult access location. 24/7 emergency quick crane hire to lift crashed cars or trucks or to free people from collapsed buildings. We don't hire tower cranes in Perth but can arrange a tower crane company in Perth to contact you. Ashburton Crane Hire is a mobile crane hire company in Perth, committed and built on providing you with a safe, reliable mobile crane lifting and shift service 24/7. Check out our fleet from 20t cranes to over 100t cranes. Ashburton Crane Hire operate an around the clock mobile general crane hire services Perth wide, 7 days a week including quick emergency crane hire. Over the past 10 years, Ashburton Crane Hire has been involved in large scale construction projects by providing general crane services Perth and Western Australia wide.